Hearts to the Rescue: PULL FEES PAID FOR BONDED PAIR - DUCHESS AND EVELYN NEED OUT OF DEVORE NOW! PULL FEES PAID FOR BONDED PAIR - DUCHESS AND EVELYN NEED OUT OF DEVORE NOW! 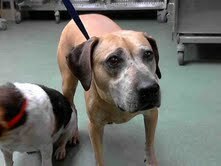 STATUS UNKNOWN: EITHER ADOPTED, RESCUED, PTS:( PULL FEES PAID FOR THIS SWEET PAIR. WHO ARE THEY? 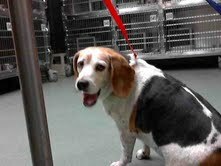 DUCHESS and EVELYN came to Devore on July 14 and they are now past due. Please help save these two sweeties! They are on borrowed time!! Duchess - ID#A498777, female, tan and white Pit Bull Terrier; 4 y/o; at the shelter since Jul 14, 2011. Evelyn- ID#A498779, female, tricolor and black Beagle; 3 y/o; at the shelter since Jul 14, 2011. WHERE ARE THEY? LA/Devore, CA shelter HOW CAN YOU HELP? Devore's phone # is 909-887-8055, ext. 0.